Federal and provincial ministers announced financing assistance for new investments at Algoma Steel Inc. in Sault Ste. Marie, Ont. Thursday, as Canada's second-largest steelmaker emerges from bankruptcy protection. Ongoing steel tariffs made this a difficult time to restructure operations. Federal and provincial ministers announced financing assistance for new investments at Algoma Steel Inc. in Sault Ste. Marie, Ont., on Thursday, as it emerged from three years of bankruptcy protection. The restructuring of the company — Canada's second-largest steel producer — took place under challenging and uncertain circumstances. There's no sign of U.S. steel tariffs ending soon, for example, despite what some expected following the signing of the revised North American trade agreement on Nov. 30. And the Canadian International Trade Tribunal began hearings Monday in Ottawa to review the case for and against continuing the 'safeguards' — additional tariffs — Finance Minister Bill Morneau imposed on seven categories of foreign steel imports, including steel plate and hot-rolled steel that displaces what Algoma manufactures in Northern Ontario. This latest funding — a total of $90 million from the federal government and $60 million from the Ontario government, all in the form of repayable loans — represents a significant share of the $300 million capital investment planned to both improve and expand Algoma's operations. An earlier plan for $60 million in funding from both levels of government was shelved when the company was put under the protection of the Companies' Creditors Arrangement Act (CCAA) in 2015. That protection ended as details of its restructuring were announced on Nov. 30. 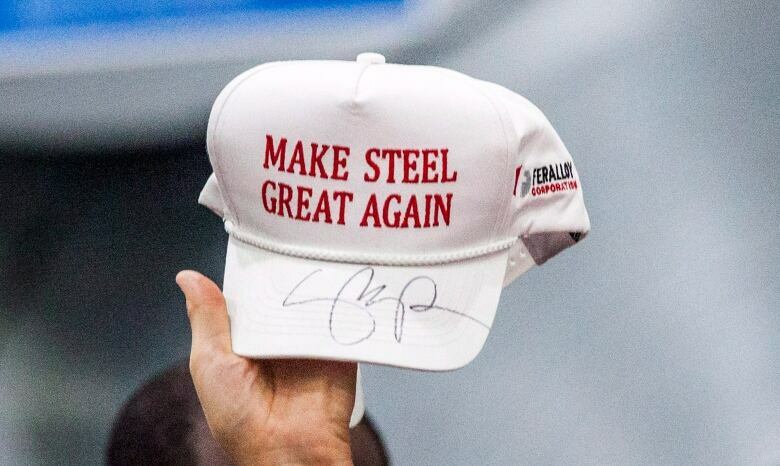 Only $30 million of the new federal money will come out of the nearly $2 billion in assistance announced for the domestic steel industry last summer, in the face of the Trump administration's 25 per cent tariffs on Canadian imports. The other $60 million comes from FedDev Ontario, an agency that normally supports innovation and economic growth in southern Ontario. More announcements on how the $2 billion in federal funding is being distributed across Canada's steel industry are expected. 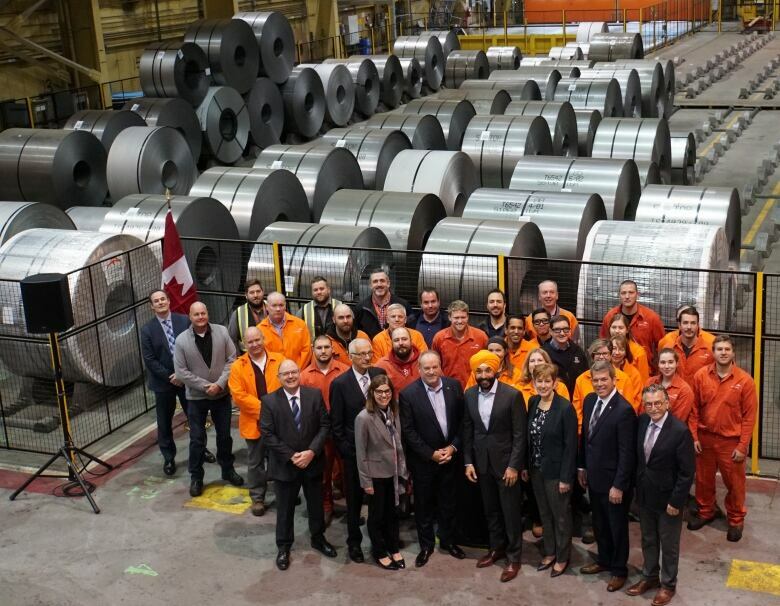 In October, the federal government announced $49.9 million for ArcelorMittal Canada Inc., funding seven projects at Dofasco's facilities in Hamilton and Montreal to help them modernize through new equipment and training. That funding, plus $30 million announced Thursday for Algoma, adds up to about a third of the $250 million made available from the Strategic Innovation Fund that's part of the overall federal assistance package for steelmakers. Federal Innovation, Science and Economic Development Minister Navdeep Bains and provincial Energy, Northern Development and Mines and Indigenous Affairs Minister Greg Rickford will make Thursday's announcement, alongside Sault Ste. Marie's MP, Terry Sheehan, and the area MPP, Ross Romano. "There's a belief by our government that Algoma Steel is and will continue to be commercially viable, and in fact, it's commercially viable even with the tariffs," Rickford said in an interview with CBC News before the announcement. "As a commodity we remain concerned that if the price point for steel drops, that will increase the risk." Government financing, like Algoma's latest repayable loans, helps manage risks beyond what private sector financing would tolerate. But Rickford said the federal government could be doing more to help the industry in the face of U.S. tariffs. "They've let (tariffs) go on for far too long," the Ontario Progressive Conservative minister said. "In the absence of that tariff, our steel industry would be robust, given the current demand and the (high) market price" — both of which helped Algoma get out of bankruptcy and made it look like a safe bet again. New costs imposed by the federal government, like the federal carbon tax applied after the government of Ontario Premier Doug Ford ended its cap-and-trade scheme for reducing carbon emissions last year, also has a big impact on the competitiveness of a steel mill, Rickford said. The provincial minister said he'll be pointing this out to Bains when he sees him, adding that a carbon tax can be relatively more expensive in Northern Ontario due to longer transportation distances and greater heating needs. "There's a whole lot of improvements that need to be made (at Algoma)," said Mark Rowlinson of the United Steelworkers, which has two union locals at the Sault Ste. Marie plant. "They continue to be vulnerable as a producer, and they sold a lot of products to the United States, so they're quite adversely affected by the tariffs. They're definitely a producer that needs support and needs investment." Negotiating renewed collective agreements was difficult during Algoma's restructuring, the union representative said, as labour leaders tried to avoid concessionary bargaining. 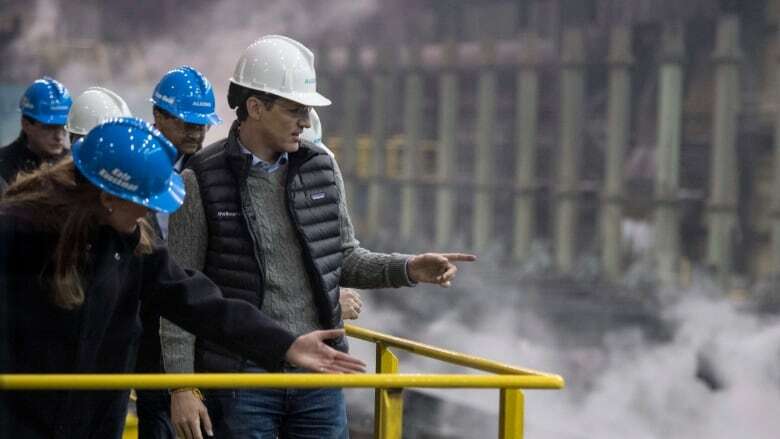 Rowlinson said he wishes the federal government had imposed its tariffs on foreign steel faster; Morneau began consulting in the summer, but didn't apply Canada's surtaxes on foreign steel until October. Testimony at the CITT hearings Wednesday said foreign steel imports rose in the third-quarter of 2018, suggesting foreign steel was displaced from the newly-tariffed U.S. market into Canada before Canada's tariff shield was in place. Rowlinson also said he thinks the federal strategy of lobbying American governors and legislators is yielding few results. "The only language that a bully (Trump) understands is drawing a line in the sand," Rowlinson said, adding Canada should have refused to sign the new NAFTA until the tariffs were lifted. The Steelworkers union is participating in this week's trade remedy hearings thanks to regulatory changes made by the federal Liberal government last spring — part of the government's progressive trade agenda. Previously, tribunal hearings were dominated by business perspectives, as opposed to the domestic worker and community concerns the USW articulates. Canada's large steel producers are all foreign-owned, so their interests may not always line up with the national interest, Rowlinson said. A Steelworkers contingent has been present at the Canadian International Trade Tribunal hearings for the presentation of evidence on steel plate and hot-rolled steel this week, as were representatives from foreign embassies representing the places producing the tariffed foreign steel, such as South Korea. "There's no industry more exposed to trade, and unfair trade in particular, than the steel industry," Rowlinson said. While the U.S. continues to skirt established international trade practices — by claiming "national security" as a justification for its steel tariffs, for example — "you're going to need to keep those safeguards in place ... for much longer than the 200 day interim period," he said. This story was updated following the Jan. 10 announcement of the federal government's assistance for Algoma Steel Inc. Statements have been amended and clarified based on the additional details released.